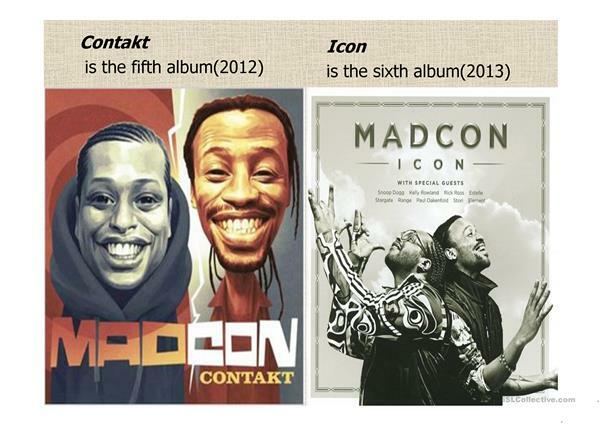 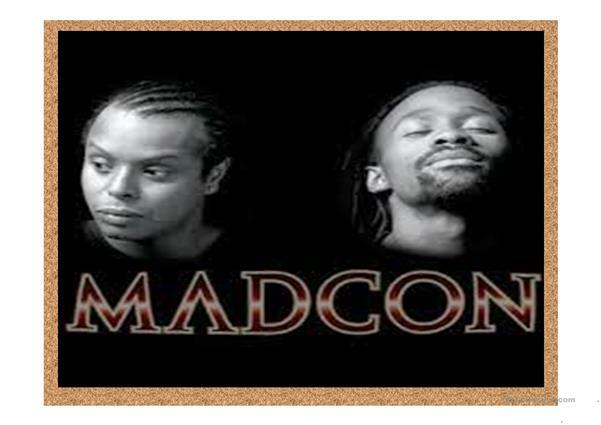 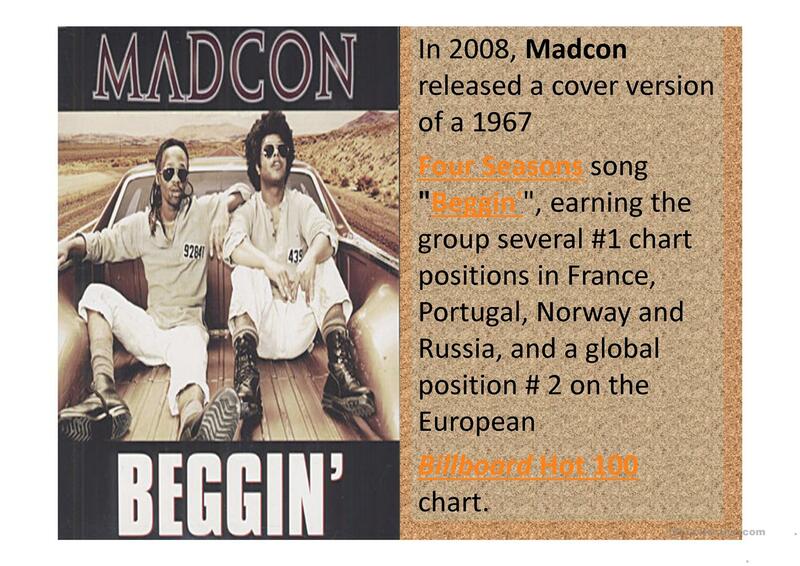 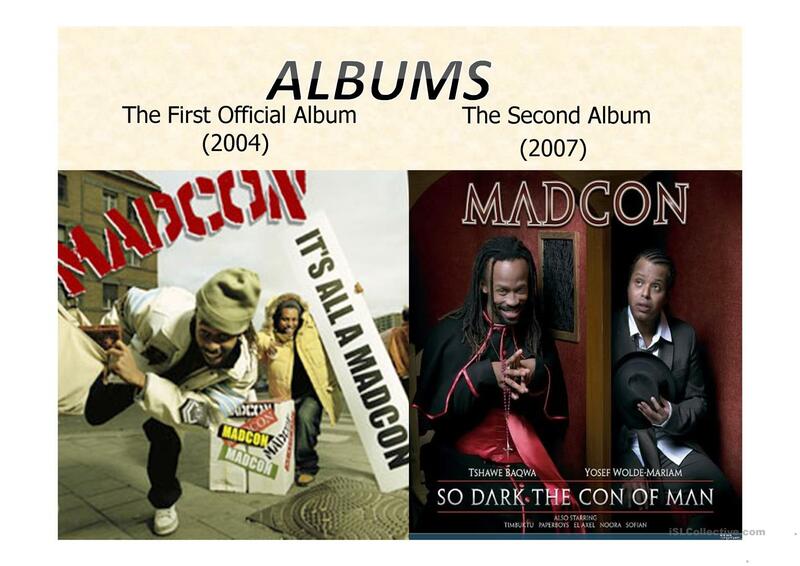 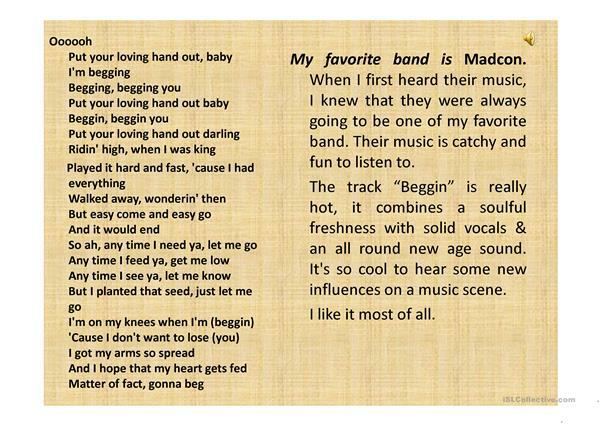 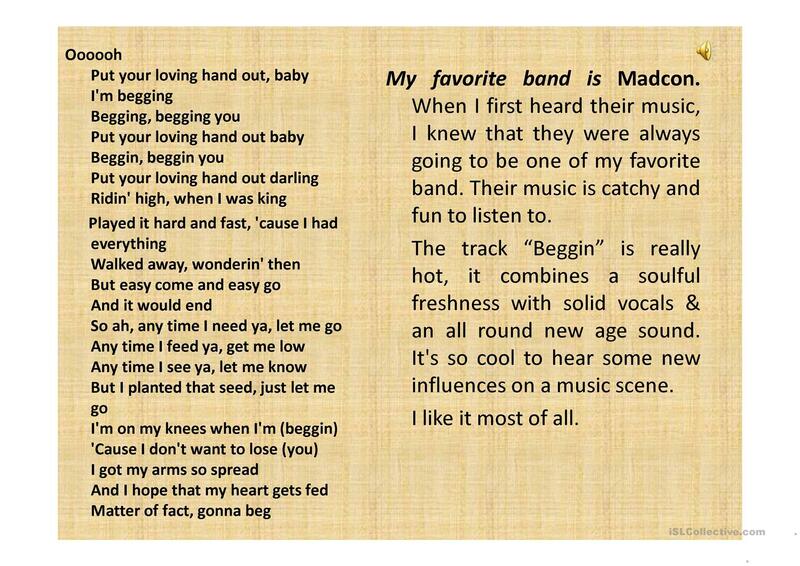 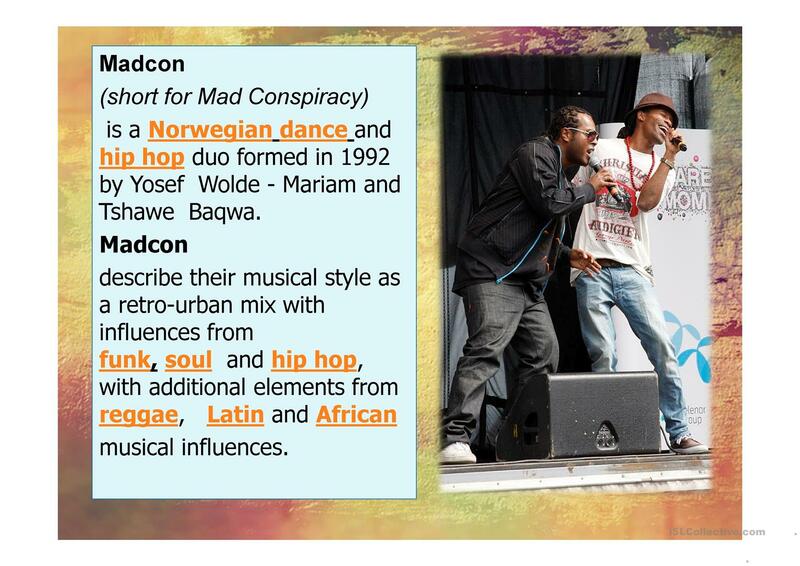 This ppt gives a chance to speak about favourite style of music or singers.A brief text about Madcon lets your students speak more in class.You can even sing this hit "Beggin" ! This downloadable printable is recommended for high school students at Pre-intermediate (A2) level. 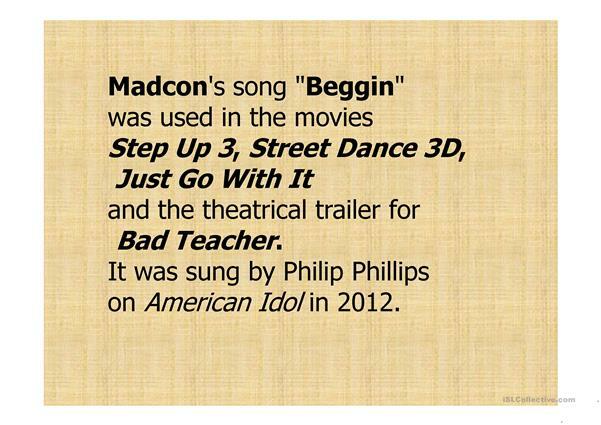 It is a valuable material for strengthening your class' Listening and Speaking skills. 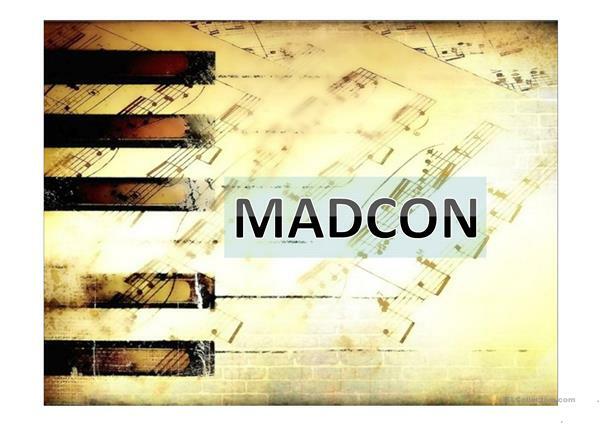 It focuses on the theme of Music. 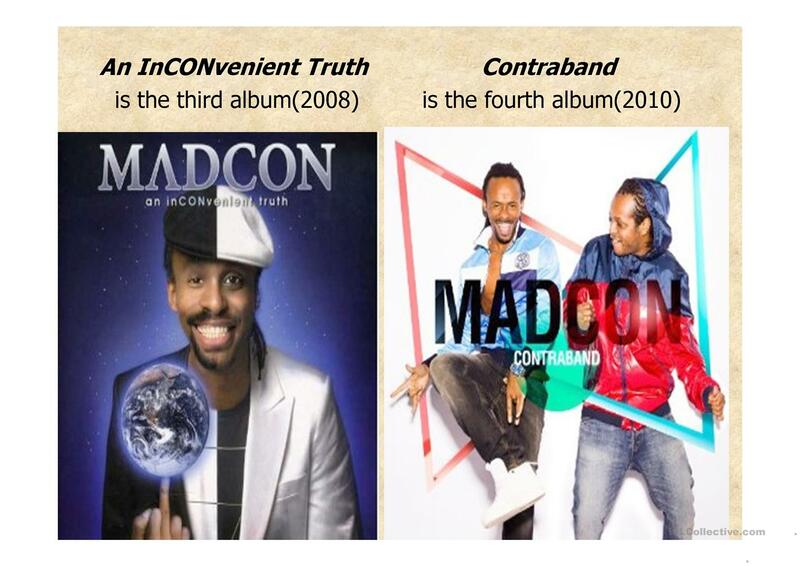 zhilinanna is from/lives in Ukraine and has been a member of iSLCollective since 2015-03-15 12:57:07. zhilinanna last logged in on 2019-04-18 22:38:13, and has shared 28 resources on iSLCollective so far.